There’s a strain of literature that aims to be morally uplifting and instructive, a primer for improvement of self and others. 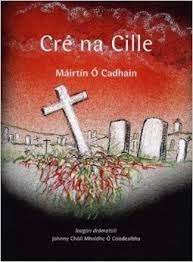 Irish writer Maírtin Ó Cadhain’s blackly funny Cré na Cille, or The Dirty Dust, most assuredly does not belong to it. The Dirty Dust is hardly the first work to feature a cast of the dead; one thinks of Edgar Lee Masters’ Spoon River Anthology, Thornton Wilder’s Our Town, even Dante’s The Divine Comedy. But rather than speaking from beyond the grave, the characters in The Dirty Dust speak from directly within it. For all the buzzing inactivity that goes on in this graveyard of a small Connemara town, there’s little in the way of metaphysics; these dead are dead, in their dead bodies, in their wooden coffins. Their voices speak from the separate cavities into which they’ve been laid, although in a darkly comic turn Ó Cadhain reveals - to his characters’ double mortification - that inept or hasty undertakers have sometimes put bodies in the wrong graves or piled them atop one another to save space. Eternity in Dante’s inferno could hardly be worse than in Ó Cadhain’s cemetery, as here the newly dead, expecting to have passed on to a better world, instead find themselves in a static hell of gossip and chatter among the villagers who’ve gone before them. If one imagines one’s worst-ever holiday family meal stuck on eternal loop, it might be something like this. Their voices overlap and interrupt. They emerge suddenly and, just as suddenly, fall quiet. At times they seem far off, at times nearby. Plot scarcely exists. Much of the sense of the story lies between the lines, unspoken. Gradually patterns and persons begin to emerge from this cacophony, usually recognizable through fixed, monotonous obsessions with particular subjects - not infrequently astonishment at having died: at failed kidneys, a heart having given out, a knife thrust through the ribs. But there are also conflicts over football, money, property, betrayals of word and of love. The same class and power differences, recriminations and enmities that existed above ground have migrated below it. Caitriona Paudeen, the unpleasant central “character” of the novel, speaks first. Just buried, she wonders whether she’s been put in the Pound graveyard or only the Ten Shilling. Her self-interrogation has barely begun when she begins to hear, with a shock, nearby voices, then suddenly a chaotic chorus. - Christ’s cross protect me! - Am I alive of dead? Are the people here alive or dead? They are all rabbiting on exactly the same way as they were above the ground! I thought that when I died that I could rest in peace, that I wouldn’t have to work, or worry about the house, or the weather, that I would be able to relax…But why all this racket in the dirty dust? It’s the duty of every Irish speaker to find out if he has the gift of writing, especially the gift of the short story, plays, poetry…These last two are far commoner than the gift of the short story, even. Take poetry, for example. All you have to do is to start at the bottom of the page and to work your way up to the top…either that, or scribble from right to left, leave a huge margin, but that ain’t half as poetic as the other way. Topics of conversation in The Dirty Dust, infused with a near constant and often acridly funny mediation on death, possess a strong Irish flavor, with references to the IRA’s struggles, political leaders such as Éamon de Valera, and unmistakably Irish aspects of life such as wakes and pubs. With less overt Irishness, Ó Cadhain’s work might resemble a play by Samuel Beckett: characters gabbing in the dark, isolated in their tombs like Nell and Nagg in their dustbins in Endgame, discovering things that happened when they were alive to which they weren’t privy and anticipating the next new burial to learn about their own funerals, the dispensation of wills and other matters that have continued on without them. Ó Cadhain’s linguistic versatility and humor manage to keep 300 pages of this from seeming as eternal as it is for the dead. Beneath the dirt, few demonstrate much self-awareness, nor - despite underground efforts to hold an election and organize a rotary club - any more movement and change than during the largely self-absorbed, egoistic lives they apparently led prior to interment. One constantly yearns for the dead to surmount their petty concerns, discover something meaningful to talk about, shut up and realize that they’re dead. But their concerns rarely go beyond wanting to know if a cross of Connemara marble has been erected over their tombs. Just beyond the dusty halo of grumbling graveyard conversation, though, is a hint of greater events. Despite the explicit “For Ever” indicated as temporal setting, a discernible timeframe emerges around all the talk. Through the graveyard’s self-proclaimed first arrival, a young soldier lost to the First World War, one ascertains that Caitriona’s burial takes place approximately 1939. Other references suggest a scope for the conversation paralleling World War II. The voices refer frequently to the “new” conflict up above; recent arrivals argue over Hitler; the young solider must repeatedly be corrected that “The War Between the Two Powers” hasn’t simply continued. 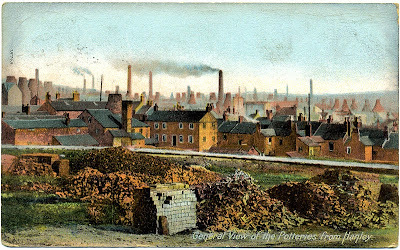 And when, towards the end of The Dirty Dust, a neighbor gently admonishes Caitriona regarding her endlessly vicious and petty fixations, the words resonate like a condemnation of all that is mean, small and insular. “God will not forgive us,” warns Caitriona’s neighbor, perhaps a bit belatedly seeing where they find themselves. But given the interminable dirt dished among Ó Cadhain’s jabbering dead, no less mired in trivialities in death than in life, one would be hard put to argue.